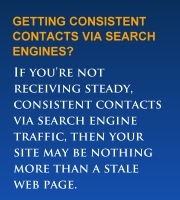 Your internet presence is negligible if you're not attracting qualified, converting website traffic. Companies that overlook the importance of website ranking and rely solely on word of mouth referrals are turning away scores of opportunities. Businesses that understand the impact of top search engine rankings and achieve these rankings, can thrive, while those that fail to attract an interested eye oftentimes end up with a non-ranking, rarely visited website. The shame in this is that you may very well be one of the best, if not the best at what you do. Yet website surfers who don't know you will never know how good you really are. The equation is simple, proven and the only equation that matters when it comes to your online marketing and website success. 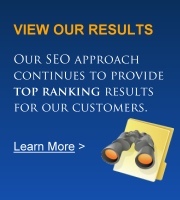 Page one Google rankings on an unattractive, stale website will do you no good. On the other hand, a beautiful website with poor rankings will get you nowhere fast. If you don't have both, then your website is virtually ineffective. We recently embarked on several website upgrade projects that featured complete site redesigns. As a result, we decided to focus on "website upgrades" as a term on which we desired to be found. On this very day, we hold Google's #1 Rank (out of more than 110 million web page results). Additionally, we hold the #1 rank for "website design upgrades" which returns more than 220 million web page results on Google. The impact on our business has been swift and has resulted in a plethora of new clients and numerous website upgrade projects. ES Interactive offers an effective, ethical, measurable SEO approach with a proven track record which, when applied properly, can change the face of your entire business.